Sometimes the strongest women carry the biggest secrets. And it’s these secrets that Northwest Vascular and Vein Specialists’ team of medical professionals hear from their patients every single day. Indeed, with springtime just around the corner, many men and women are walking through the doors of Northwest Vascular and Vein Specialists looking to begin the new year by finally facing those vein problems that have often plagued them for years. As patients enter Northwest Vascular and Vein Specialists—one of the largest practices in the Midwest that has performed more than 10,000 laser ablations—one of the first things they notice is that it doesn’t feel like a doctor’s office at all. Instead, it feels welcoming and comfortable. Filled with beautiful furniture and a friendly staff (many who have worked there for more than 20 years), patients immediately feel at ease. 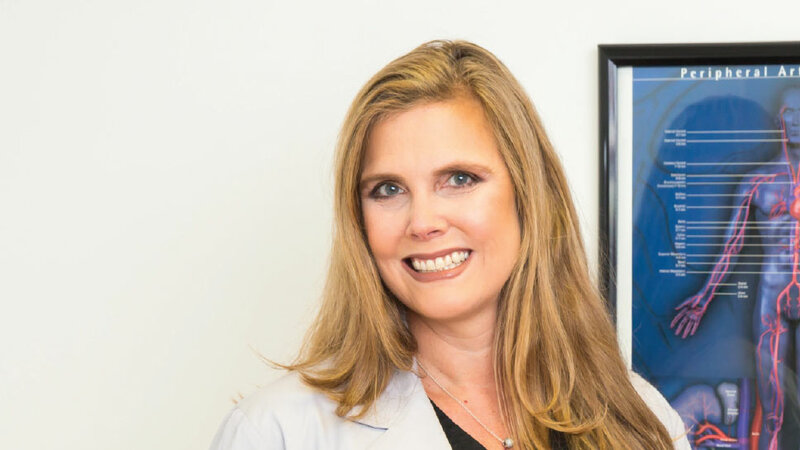 And it’s these talented and friendly faces that encourage patients to finally face their fears about these procedures, in which board-certified vascular surgeons and registered vascular technologists use cutting-age technologies to quickly and seamlessly identify and treat varicose veins. Sometimes the fear does not lie within the procedure itself, but the fear of the unknown. But make no mistake–this is not a field for amateurs. Northwest Vascular and Vein Specialists has offices in Libertyville, Skokie, and Arlington Heights, 847-577-5814, northwestveinspecialists.com.